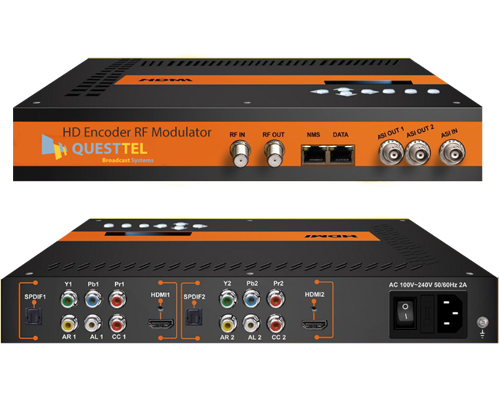 QuestTel's two Channel compact encoder modulators integrate MPEG-2/H.264 encoding chassis with high performance QAM/ATSC/DVB-C modulator platform, which makes them a perferct solution for HDMI to QAM or ATSC applications. 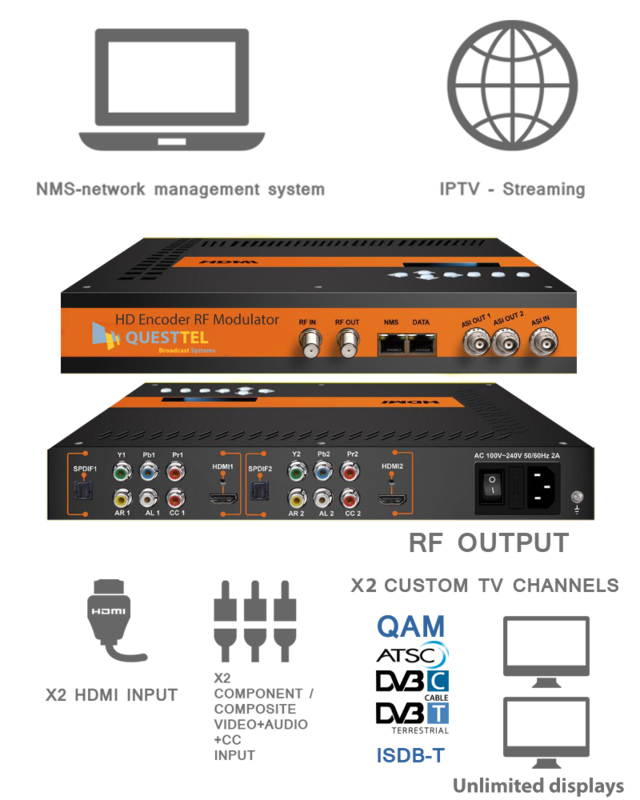 B-QAM-HDMI-IP-2CH makes 1080p real time video distribution a very easy process, since QuestTel's hdmi qam modulators come with inegrated IPTV output, allowing you to generate both professional video over ip and video over coax cnannel lineups for cable HDTV networks. 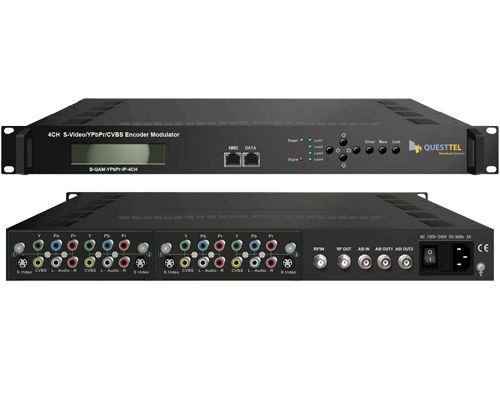 Our business grade modulators comply with all modern broadcast technologies and provide great support for different video inputs such as HDMI (SDI available), component, composite and ASI. B-QAM-HDMI-IP-2CH will be the best choise for any broadband company, because our systems are fully complient with all strict broadcasting standards such as closed captioning (608 on analog RCA) or AC3 audio. 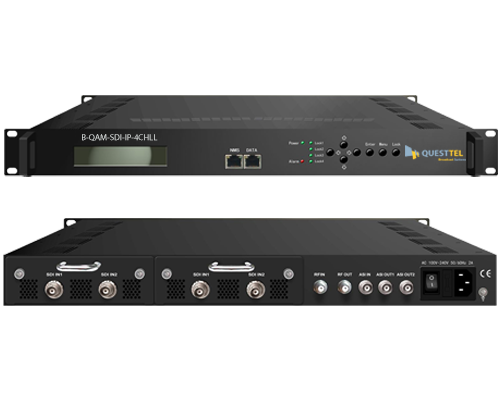 Furthermore, our HDMI QAM modulators are very easy to manage via user friendly and intuitive web console intarface, which makes complicated installation process fast and simple yet highly versatile and advanced. High density throughput hardware encoder is a key feature of our procuct, not only because it's constructed for heavy data processing but it also adds flexibility to your system, allowing you to switch between MPEG-2 and H.264, set various video resolutions from 480i to 1080p, change audio encoding and a lot more. Additional IPTV output provides support for both UDP and RTP (SPTS&MPTS) protocols, making your system more scalable. Overall, our compact encoder modulators will be a perfect fit for any AV installer, broadcaster or small businness user. 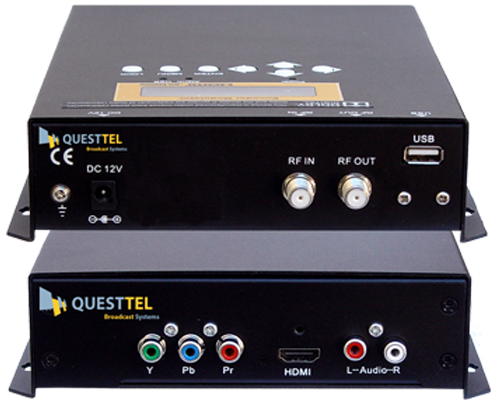 Questtel's 2Ch HDMI modulators are designed to convert HDMI signals, composite and component video feeds to RF QAM signals. These can then be distributed to an unlimited number of TV sets (via coaxial cable). High quality H264 and MPEG2 circuitry provide flawless HD video encoding. When in conjunction with QAM and ATCS processors they enhance 1B-HDMI-QAM-2CH units; providing the best solution for affordable coax video distribution. 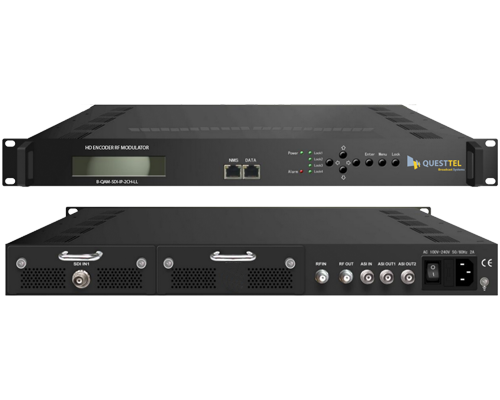 These units feature IPTV output, allowing you to stream live video over IP. 1B-HDMI-QAM-2CH is equipped with NMS GUI. This enables easy setup and remote control via any web-browser over LAN network. 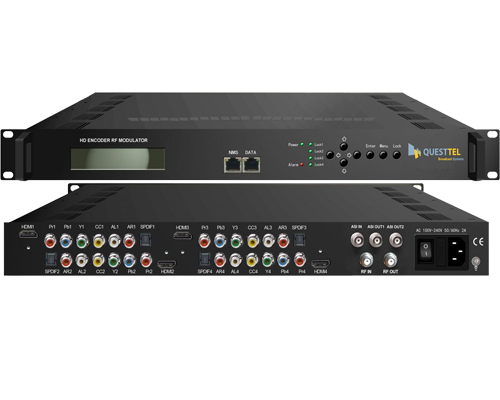 This solution is ideal for live video streaming and HD cable television applications.